And it goes on sale at the end of this year. 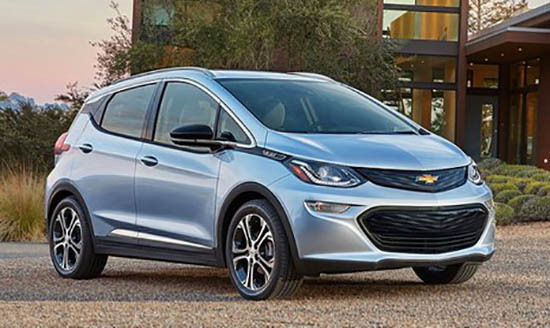 No price yet, but GM has mentioned before a sub $30 000 starting price after incentives.Which is quite a bit more than the Leaf, which starts at around $30 000 MSRP. I think its success will depend mostly on lease prices. What do you think of the new Bolt? For a first generation model It looks. However there are plenty of economy car elements that seem to standout. They seem noticeable with somethings I would expect on modern cars. 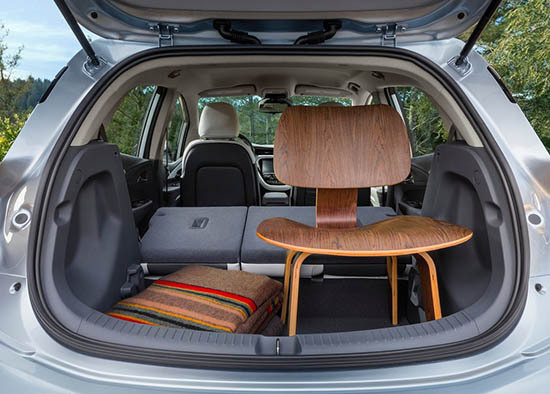 There are no grab handles for a family oriented light utility vehicle and the roof-liner materials (perhaps cardboard with low graded carpeted feel) just reminds us where most of the developmental costs went (to the battery). I would imagine a Buick version filling in those voids. 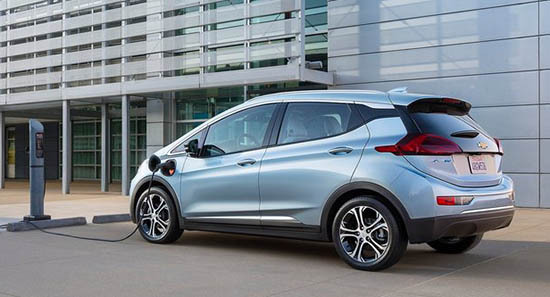 I am not curious what the next Leaf will have to offer both inside and out but lately they too have "went cheap" in some important areas too. EV's are dead in the new era of cheap gas. 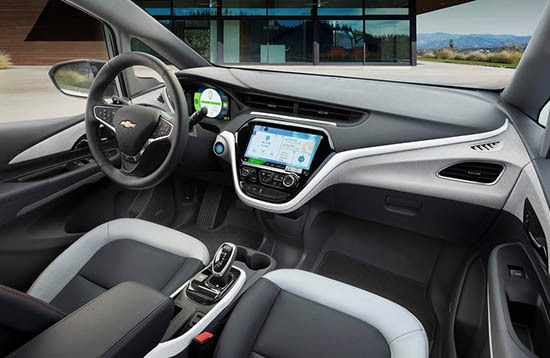 Dissappointing that no sunroof on the new Volt either. Perhaps because the glass and the mechanism add weight? I like that it looks nothing like the Bolt Concept/ The concept just looked like every other hatchback, with the upswept belt line and rear window. So sick of that look on everything. Its not perfect, I don't like the rear pillar treatment with the black out - that is the latest style but it really only looks good on the new Murano, and those taillights would've looked better without the extra extension into the fender. 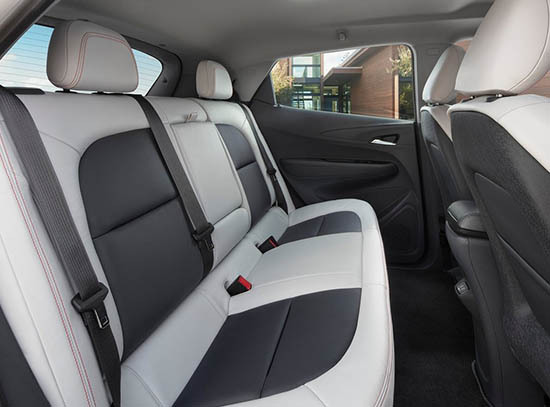 The interior shows the benefits of a dedicated electric car though, with a low load floor and flat rear seat floor. Nice. I noticed in other photos that they went with the SAE Combo standard. I have an i3 and the availability of those chargers are lacking. Looks like they have quite a contender here....but you are right^ about the handles...only the front passenger gets one apparently. I believe starts at $37,500. If the next Leaf gets longer range option it will also cost bit more likely. Not sure yet otherwise how they compare but 200 mile range is big improvement at this price range. Leaf gets only 84 mpg and I can see that range being a dealbreaker for some people. This looks really good! I just bought an i3 REx, and love it. For this EV thing to really take off, the prices will have to become more affordable for more people. $37k is very reasonable. Though to really make full use of the 200 mile range, there will need to be a lot more 440V chargers. Preferably ones that are solar powered. There are so few 440s today, at least in the NYC area. With a conventional 220V charger, it will cost you a fortune to charge at home. A 110V charger will take a decade to top-off the batteries. Regardless, a 200 mile range will give the owner a lot of flexibility.